It looks like spring is finally arriving in Paris, and that means that I'll be doing a lot more outdoor painting again. Our good friend David Wise was in town visiting from Toronto last week, and he was making a film about his trip. He thought it would be fun to film the process of making a Lost Art painting, so we picked up this old discarded record player and found a nice place to sit with it by the river. 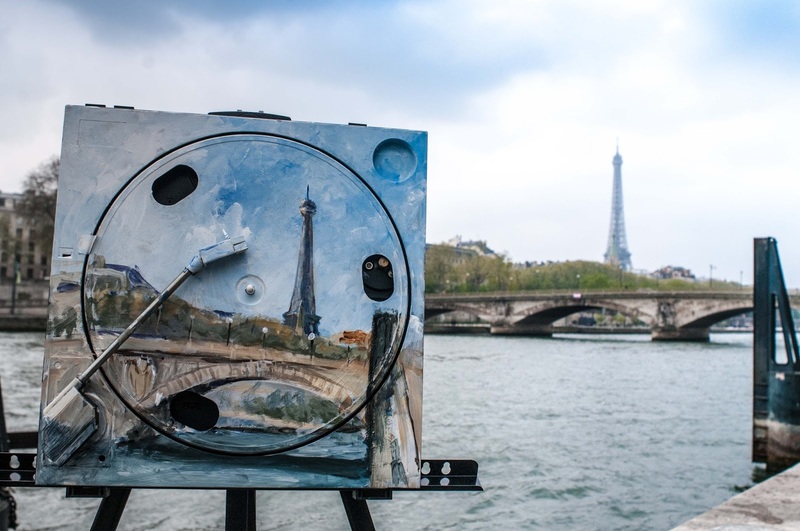 Believe it or not, I think this is the first time the Eiffel Tower has made an appearance in one of these paintings :). David filmed me painting it while he asked me some questions about the series. Then I took the painting home to dry and it took several days for me to find a moment to go drop it off. Today, I'm finally releasing the record player back into the world, and leaving it in the place where I painted it. As always, there's a map to the location below, for you treasure hunters who want to go looking for it! And if you have friends in the area, please share the post in case they might want to grab it. Also, keep an eye out for David Wise's film! I'll be sure to post a link to it here when it's available for viewing. I hope you're all having a lovely April, and I look forward to losing a lot more art in the weeks to come! 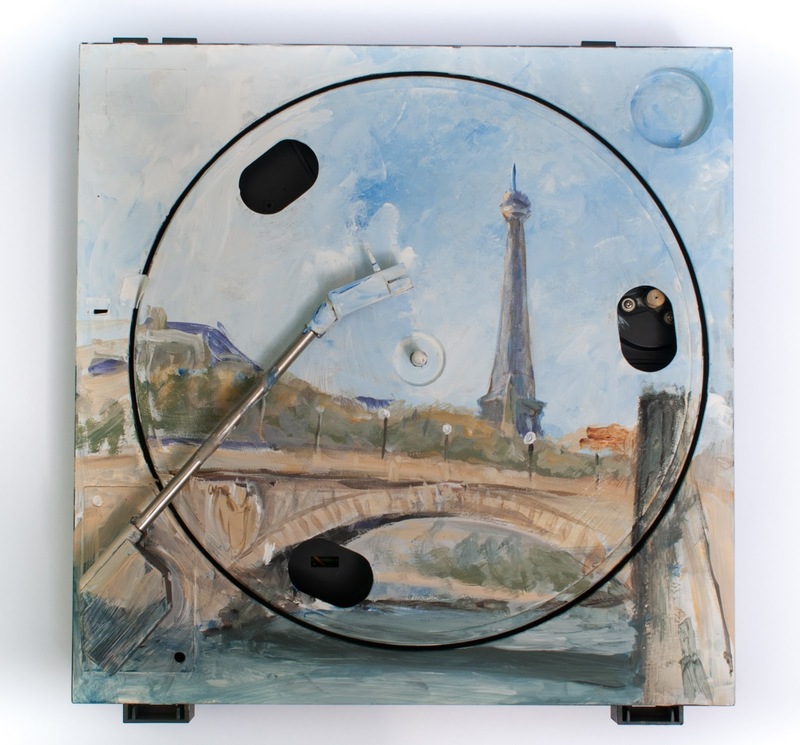 This painting, acrylic on found broken record player, 33cm x 33cm, was left on the Port des Champs-Élysées in Paris, on April 26th, 2017 at 3:00pm.